Lot G-28 Sunway Velocity Mall, Lingkaran SV, Sunway Velocity, Jalan Peel 55100 Kuala Lumpur. Cooked al-dente, the pasta comes with the nice portion of pasta which is completed with the shrimp, shimeji mushroom, and topped with the mentaiko, nori, and spring onions. One of the great mix of vegetables all in one where they are filled with the capsicum, cucumbers, eggplants, and onions plus sesame rice at the base baked in Ratatouille (tomato) sauce. Topped with the melted mozzarella cheese on top with rice below. Enjoy the great combination of shrimp, and tuna omu wrap together with the cold rice in it. The awesome-licious delights is completed with the shrimp, tuna, egg mayo, lettuce, tomato, onion, wasabi mayo and rice all together and wrapped with the thin sheet of omelette egg. Nicely done! Enjoy the tuna spread with the melted cheddar fillings in it. The overflowing melted cheese from the toasted brioche loaf is amazingly tasty. Love the way it is done. The sandwich is well toasted with the crunchy bites off the toast and inside with the generous amount of fillings of the Teriyaki chicken and Tamago in it. Every mouthful comes awesomely good. The Croissant which is served with the premium chocolate filling in ithe inside is something worthy to try. The fluffy textures with the chocolate filling is amazingly good but not overly sweet. 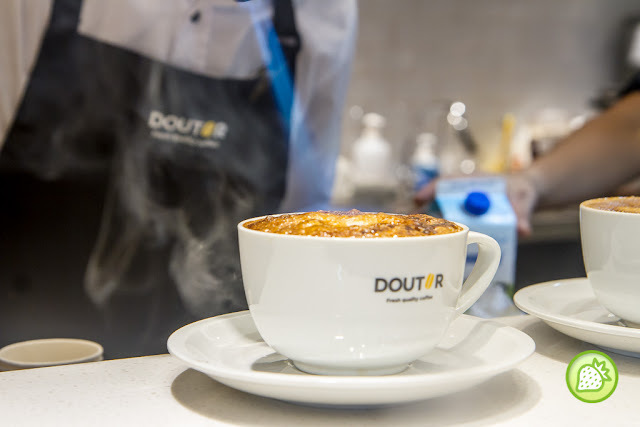 A new thing from Doutor, Croffle is a hit here! Using the pastry base from Croissant and made them to waffle shape and toast them sprinkled with sugar. Thiis is simply addictively good and delicious. I love the crème brulee latte where the taste comes pretty unique. 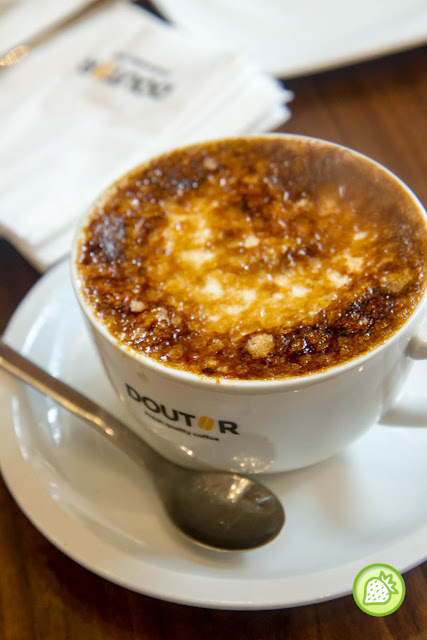 The Crème Brulee brings you with a sweeter version but with the hint of roasted taste in it. Enjoy the cuppa of Honey Café Latte which brings you with the slight sweeter version. No sugar added but using the honey as the alternative, the coffee brings you with the fragrant sweetness in it.